Many children have grown up loving author Beatrix Potter, I being one of them. She was quite an artist from a young age and she continues to inspire upcoming artists even today. The Tale of Peter Rabbit is a British children's book written and illustrated by Beatrix Potter that follows mischievous and disobedient young Peter Rabbit as he is chased about the garden of Mr. McGregor He escapes and returns home to his mother, who puts him to bed after dosing him with tea. The tale was written for five-year-old Noel Moore, son of Potter's former governess Annie Carter Moore, in 1893. It was revised and privately printed by Potter in 1901 after several publishers' rejections, but was printed in a trade edition by Fredrick Warne & Coin 1902 The book was a success, and multiple reprints were issued in the years immediately following its debut. It has been translated into 36 languages, and with 45 million copies sold it is one of the Best Selling Books of all time. Beatrix was well known for not only writing the tales but also for doing all of her own illustrations and using elevated language to tell her tales. Her stories today are now considered nursery classics worldwide. She had such a love for her own rabbits; I thought how suiting to tribute our Easter minis after such an accomplished artist, who’s lifelong work that was dedicated to children near and far. 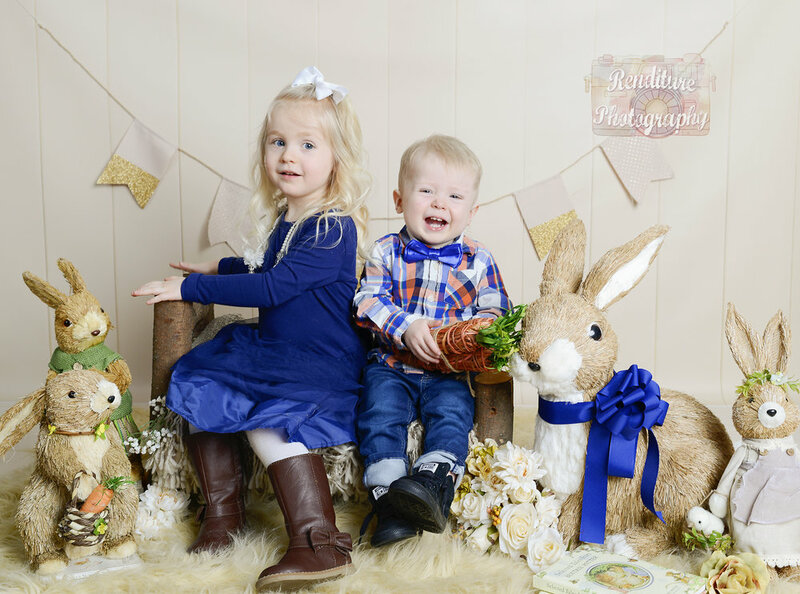 The changed up our Easter photos this year an.d are moving to a butter cream colored wooden backdrop. This will make it feel even more like the classic Beatrix potter look. 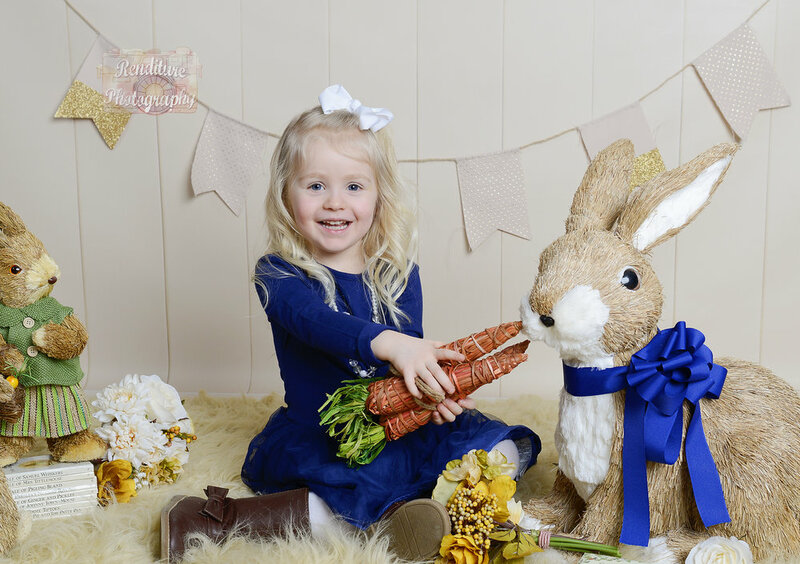 Peter Rabbit is larger than life this year with our very large rabbit prop. With multiple smaller rabbits, wagon, wooden bed, Easter eggs and flowers and straw carrots. The kids last year had a blast playing with the straw carrots and bunnies when we did the Flopsy Bunny Theme. The carrot trio was by far the favorite among all the children. We will be adding an addition set to this next year focusing around the Beatrix Potter story books. The Flopsy Bunnies will make a return for sure but were still brainstorming on which book to focus on next. Do you have a favorite Beatrix Potter book? Which one would you like to see us use in next year’s sessions? Would love to hear you’re impute. 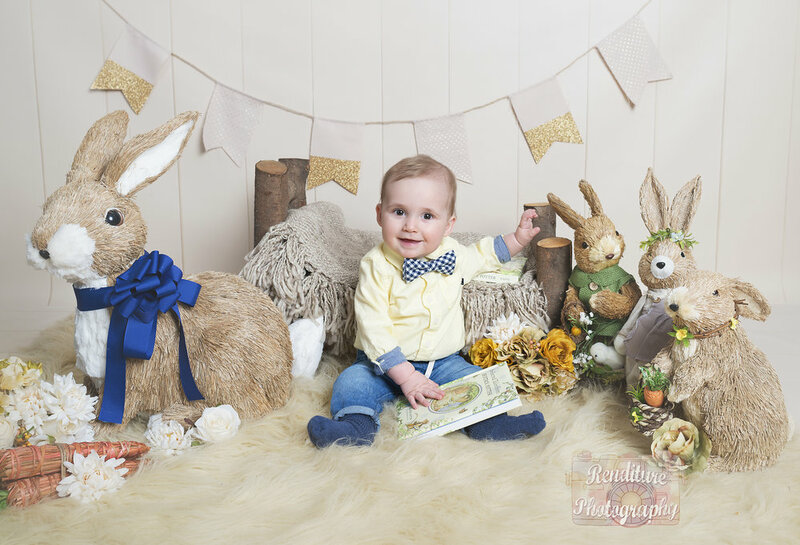 Same great props artfully put together with the light wooden background. Due to popularity extended booking dates now offered! Up to 3 children, $25 per additional child Max 5 children on this set. Additional prints and products are available at your photo reveal. Children are photographed in the outfits they come in. Will have 5 -10 mins to change children at the beginning of session if needed. 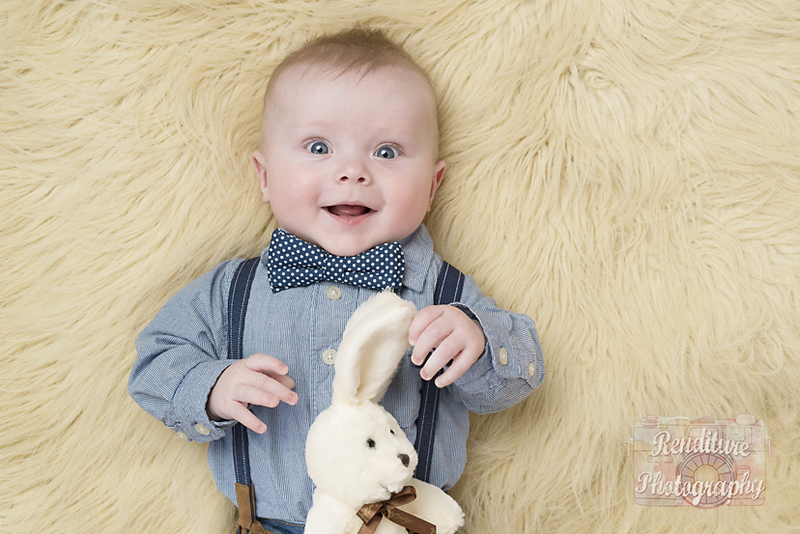 *Easter Newborn Session Available in April!